As an ERP solutions provider, we often get enquiries from SMEs asking for an ‘upgraded’ accounting software. Upon probing further, we learn that what they’re really looking for is an ERP system. This common misconception stems from the idea that ERP software, or enterprise resource planning software, is just another fancy name for accounting software (hint: it’s not). While ERP systems share a few similar characteristics with most modern accounting systems, the two differ significantly in form, functionalities, and security. To put it simply, an accounting software’s capabilities are a fraction of what you can find in a full-blown ERP software. A familiar sight to many SMEs, accounting systems play a key role in facilitating and monitoring a company’s lifeblood – financial transactions. You’ll find modules like general ledger, journal entries, accounts payable and receivables, billings, fixed assets etc. in a typical accounting software. From there, you can generate basic financial reports such as profit and loss statements, income statements and so forth. By recording and integrating the financial aspects of a SME’s transactions, an accounting software gives users a snapshot of the company’s financial health at any point in time. A good accounting software also ensures efficient, accurate financial and cost accounting in a SME. By integrating financial and cost accounting into a single system, this lets users carry out financial recording within one set of accounts, which in turn makes it easier to access the right information quickly. In comparison, trying to do this across multiple Excel spreadsheets runs the risk of inaccurate data entries and higher labour inefficiencies. Where accounting software falls short is its inability to easily anticipate tomorrow’s demands; this requires a true integrated system that allows for seamless transactions and information across the organisation. A good ERP system should also easily integrate with other solutions like Point-of-Sales, e-Commerce, barcode or RFID scanners and so forth. More importantly, a good ERP system is designed to be scalable, so it can grow alongside your business. Which brings us to the value of having an ERP system in place. An ERP system draws data and transactions from a variety of business processes into centralised data warehouses. With this, users get a comprehensive, 360-degree enterprise-wide view across all sites, allowing them to easily analyse and manage day-to-day business operations – finance, inventory planning, budgeting, supply chain and more. Subsequently, this enhanced visibility helps SMEs improve their sales timing, reduce stock wastage, detect deficiencies, and identify new opportunities to grow strategically. Having a centralised database also facilitates accurate, real-time information across departments. This enables managers to make strategic, data-driven decisions, and employees to react proactively to day-to-day issues on the ground. As such, accounting systems are not scaled down versions of ERP systems, nor are ERP systems simply ‘upgraded’ accounting systems. Instead, picture an accounting software’s functionalities acting as a subset of what an ERP software can provide to an organisation. Should I Get An Accounting or ERP System? There are real and functional differences between accounting and ERP solutions. 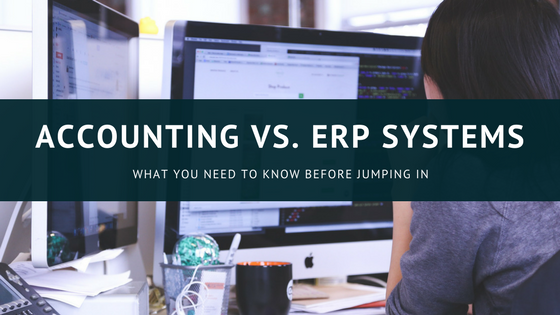 To directly compare an accounting software against an ERP software wouldn’t make sense; it’d be like comparing apples to oranges and asking which is better. So here’s an alternative: Rather than asking yourself ‘Should we get an ERP software or another accounting software’, a better approach would be to ask yourself when. 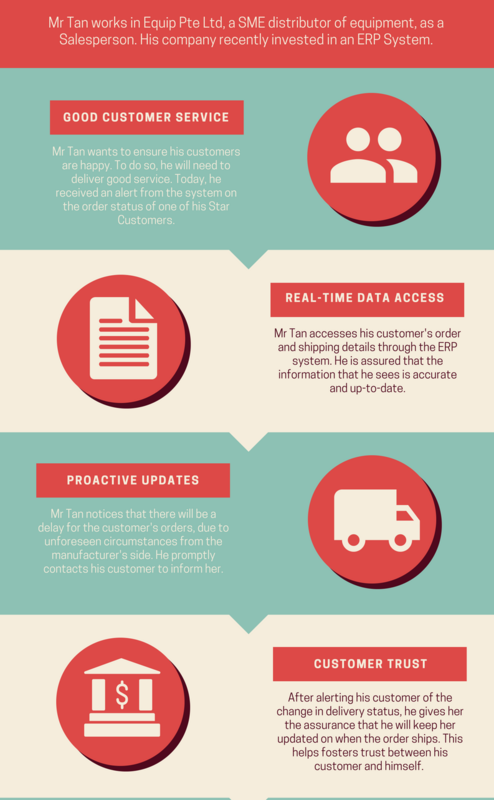 When should we get an ERP software? When is the right time to move on from our current accounting system? As mentioned above, both accounting systems and ERP systems incorporate multiple functionalities into a single system. Like its namesake, accounting software focuses on accounting-related functions, while ERP systems are scalable systems with functionalities that span across the organisation. For most small businesses and start-ups, a modern integrated accounting system is enough for their needs. But once they start growing, these businesses realise they lack the ability to manage their processes across all departments effectively. Also, from a data perspective, they find they lack a single version of the truth. 1. Are You Using Different Systems to Manage Different Processes? If you’re using multiple systems to run different departments, you will run into productivity, efficiency, and coordination issues. Suppose your sales data isn’t updated or keyed in correctly. This affects your production and inventory management departments, which in turn spirals on to affect other departments. Even if you did have a good accounting system in place, the lack of integration across your SME means you’ll be hard-pressed to prevent this costly rippling effect. What ERP software excels at is integrating these disparate systems together, so your business functions rely on a single database. With one source of information that contains accurate, real-time data, an ERP solution breaks up information jams, helps employees make faster, smarter decisions, and frees managers to focus on high-value activities like identifying new business opportunities. 2. Are Your Accounting Processes Slow and Tedious? You have an accounting software in place. It even served you well in the early days of your business. But of late, you notice things aren’t proceeding as smoothly as it used to do. It takes forever for your finance team to generate reports. And when pressed, they tell you it’s because they need more time to consolidate and reconcile the information that’s spread across systems and multiple spreadsheets. They also expect you to be more understanding, because they waste hours manually keying in data from paper invoices and sales orders into the accounting system. Because everyone enjoys working late into the night, right? By moving onto an ERP system, you get all your business process data within in a single database. Routine tasks can be automated, freeing your finance team from rekeying or reconciling data manually. As a result, your team are more productive and able to generate the reports you need with minimal delays. 3. Does it Take a Long Time to Get the Information You Need? Quick question: how long does it take to find out whether your sales figures are up to date? Are you able to quickly get information on what your average sales margin is, or your average order per day? If your answers to the above are ‘forever’ and ‘no’, then it’s time to have a re-look at your approach. Among SMEs, the pace and pressure to succeed is greater than ever before. Your executives want a holistic view of their business whenever they need it, while your other employees will expect to get accurate information so they can do their work faster. For this to happen, your executives and staff will need quick and pain-free access to accurate, real-time data. If your SME is still manually reconciling spreadsheets and siloed systems, you’ll find it’s almost impossible to get that speed of access quickly. In short, ERP systems are often confused with accounting software packages, but they’re not the same thing. Accounting software packages offer a fraction of what a true ERP software can offer, and are ideal for small SMEs or start-ups that are just getting into the business. 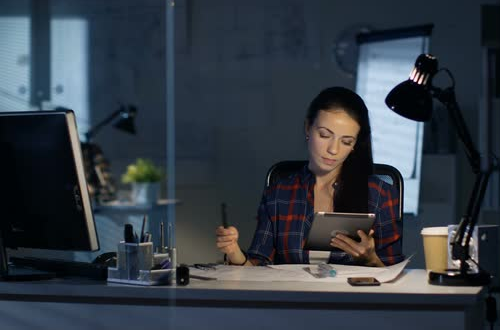 Growing SMEs still relying on accounting software might find the software’s functionalities insufficient to meet their goals – moving to an ERP software will be the next natural step. To learn more or get some advice, you can drop us a note here, and one of our advisors will get back to you shortly. Still unsure if there’s a need to look at ERP software? 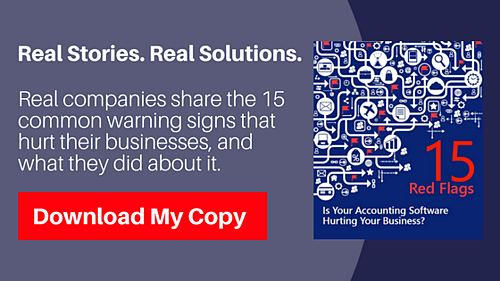 Check out our free download below which highlights real problems faced by real companies – and how they used ERP systems to make improvements.